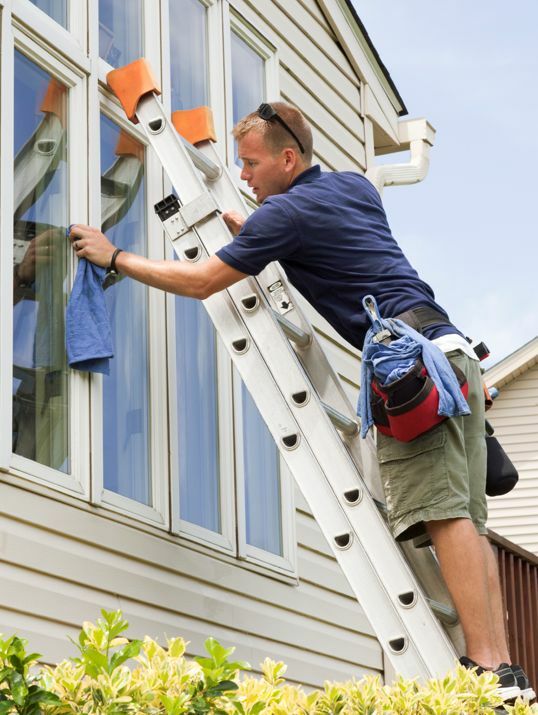 Most home owners don’t do their own window cleaning. It can be difficult, time consuming and dangerous. It can involve climbing ladders, extreme heights and many hours. Way More Cleaning Ltd knows windows. 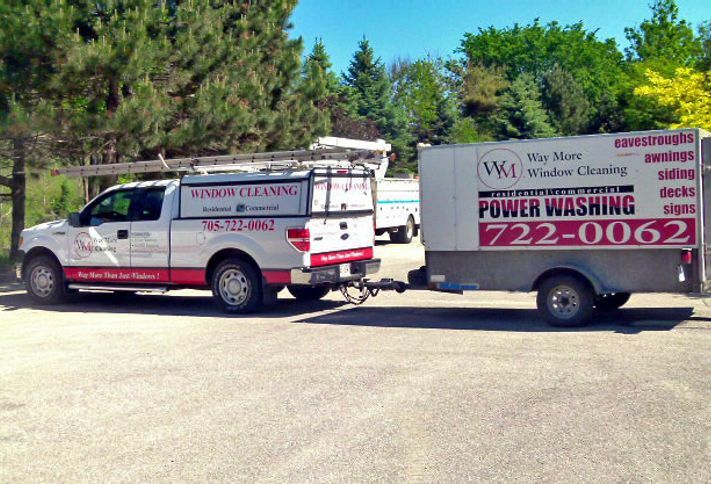 We have been in the business since 1998. 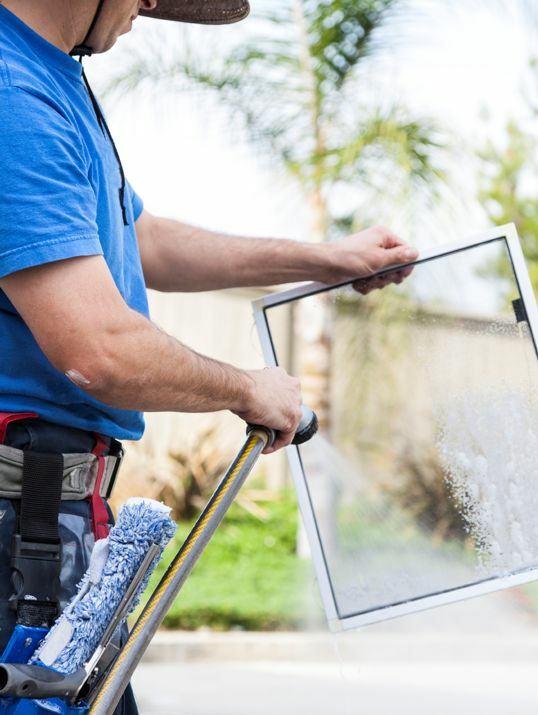 We specialize in offering homeowners and professional services of a full-time window cleaning staff. Fully insured, bonded and WSIB Covered. Way More Cleaning Ltd has the ability to clean your concrete of stains, discoloration, dirt and debris. Drive thru areas with heavy use, spilled coffee & gum. Our surface cleaner is great for interior and exterior services. Keeping the water in a small workable area. 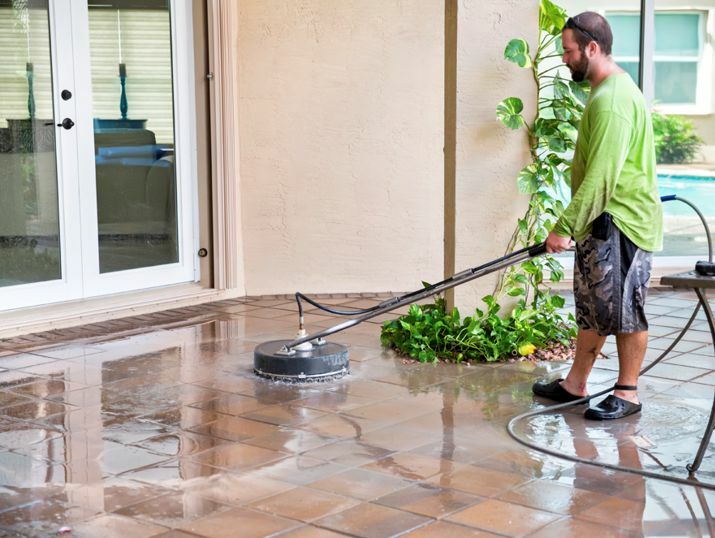 Cleaning the concrete will give your home or business a fresh clean appearance. Way More Cleaning Ltd has a self-contained pressure washing unit, with the ability to change water temperature as well as water pressure. 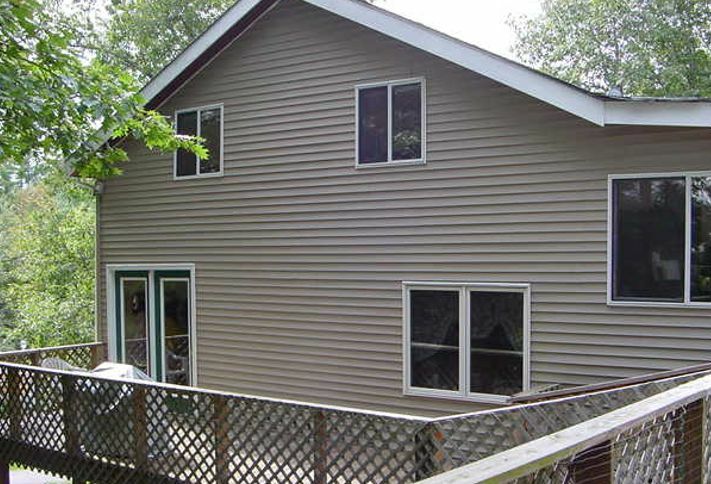 Conventional units if not used properly could leave unsightly lines. When pressure washing concrete or other services it is best to leave it to the experts at Way More Cleaning Ltd. Call or email our office for a free, no obligation quote. 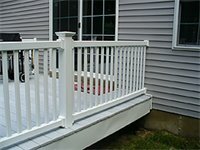 Is your deck looking tired, dirty, worn? Are you wanting a gentle cleaning, paint removed, or stain? 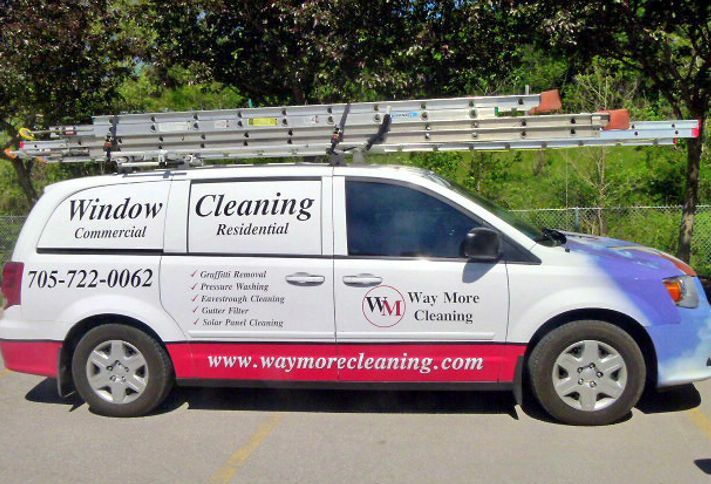 Way More Cleaning Ltd has experience in cleaning, staining, paint removal and water sealing. Our self-contained commercial pressure washing unit has the ability to change water temperature as well as water pressure. 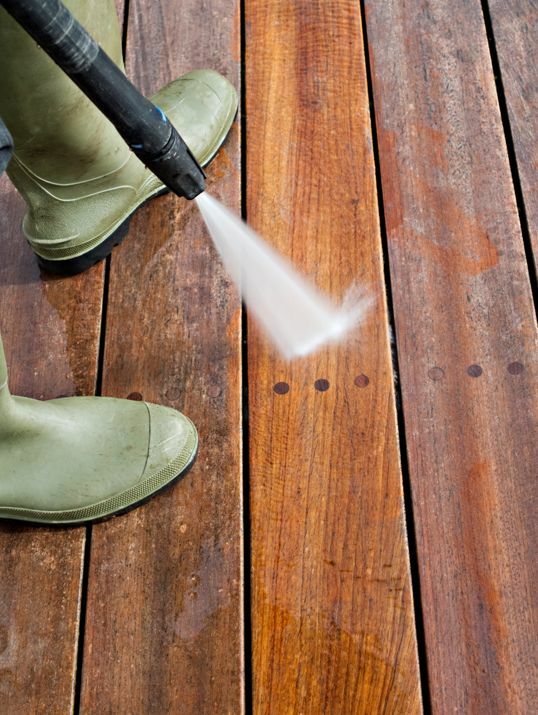 Have you tried to clean your deck with a conventional pressure washer only to leave unsightly lines? 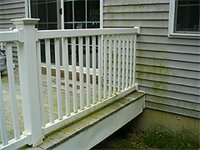 When pressure washing, staining your deck or other services it is best to leave it to the experts at Way More Cleaning Ltd. Call or email our office for a free, no obligation quote. 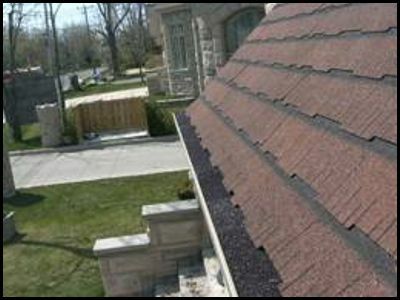 Eavestrough cleaning a home with 1500 sq ft of eavestrough sheds approx. 1000 gallons of water for every inch of falling rain. To prevent water from penetrating your home or damaging the foundation, it is essential that water is channeling away from your home. 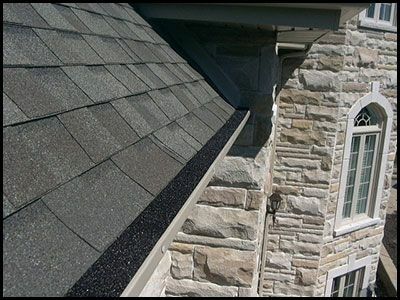 Eavestroughs serve that purpose. 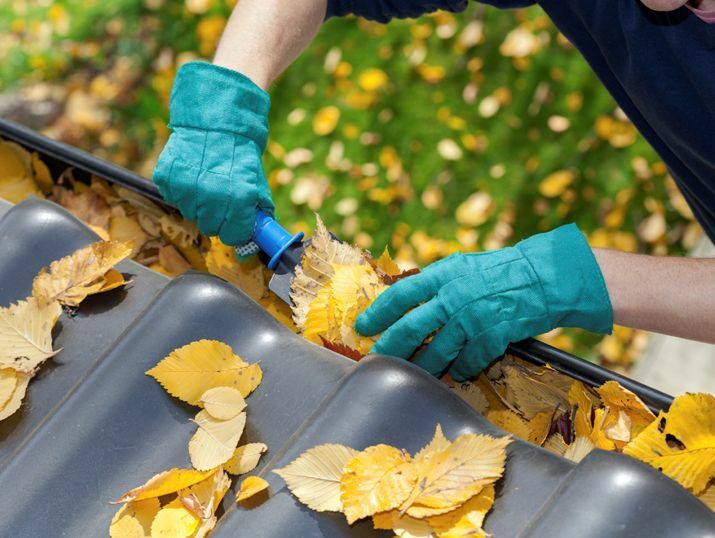 Even a handful of debris prevents your eaves from working. 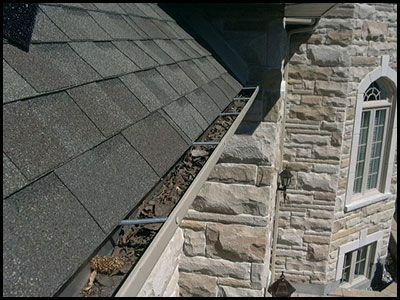 Eaves that are neglected will carry heavy debris which accumulates over time. 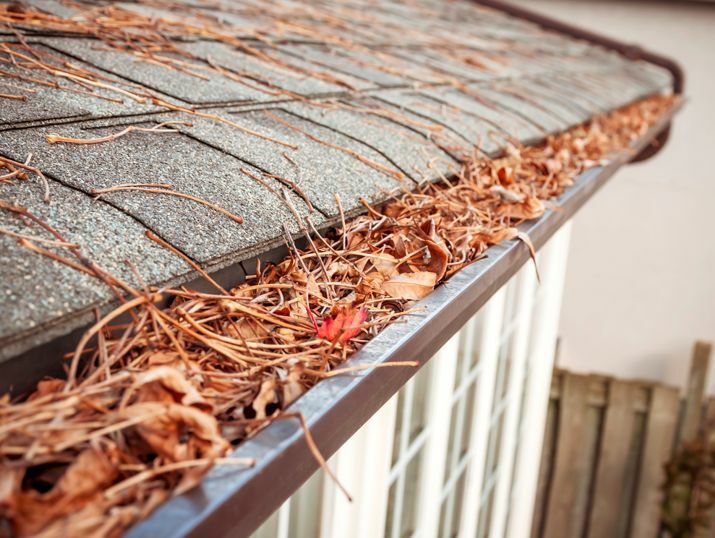 That debris and water can weigh up to 270 lbs, and can damage the angle of your eaves which can then cause further damage to your roof, interior walls, etc. 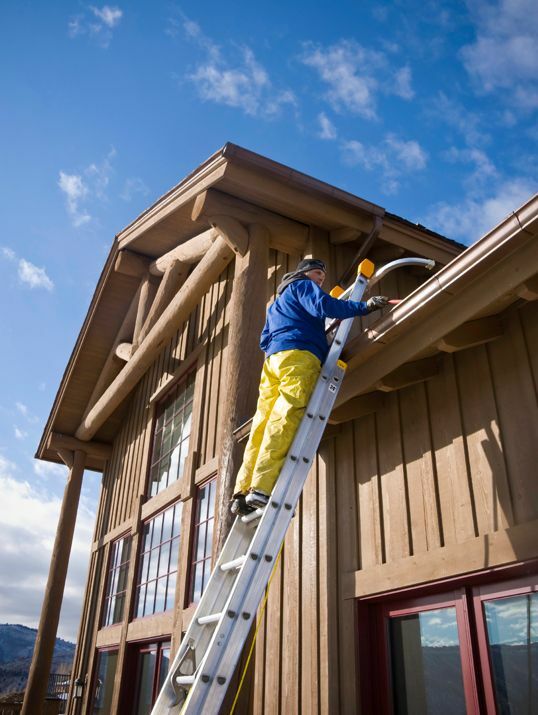 Way More Cleaning Ltd will clean your eaves by hand. We do not use leaf blowers. Way More Cleaning Ltd will bag the debris and if possible leave for curbside pickup. House washing can be difficult, however the results are worth it. 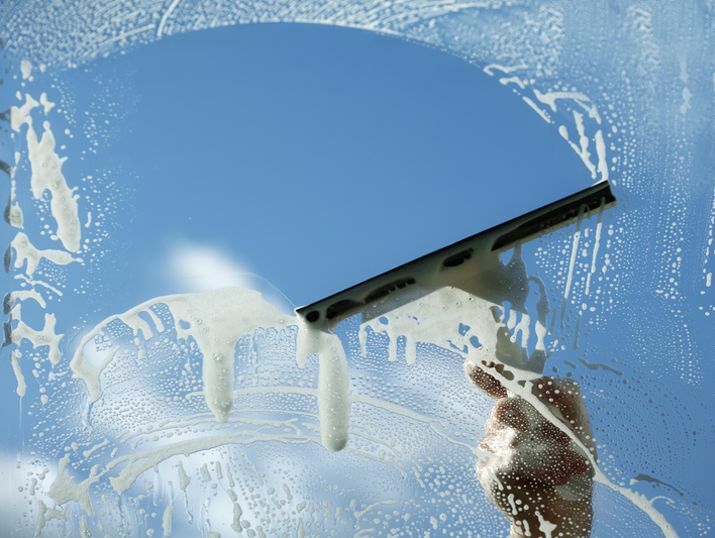 Let the professionals at Way More Cleaning Ltd take care of your cleaning needs. 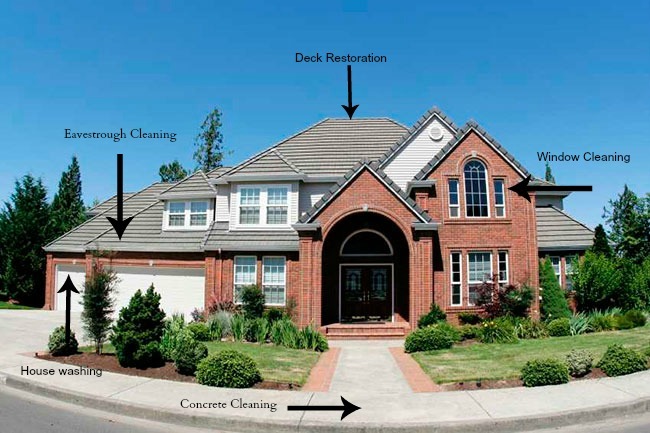 Our techniques and methods allow us to clean more efficiently and thoroughly whether you own a large water front home or a modest home. 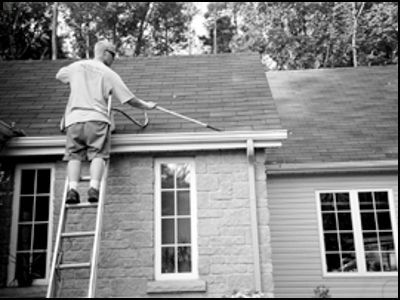 We can apply a little TLC and have your property looking beautiful with our house washing services. 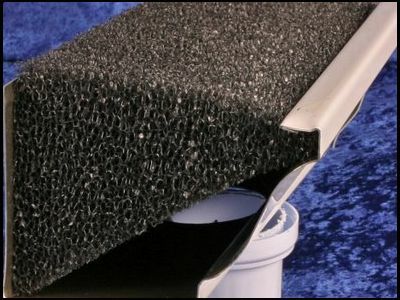 “I’ve tested most of the products on the market but have decided to keep only one on my house: GutterFilter®. Finally someone has made a product that really works. 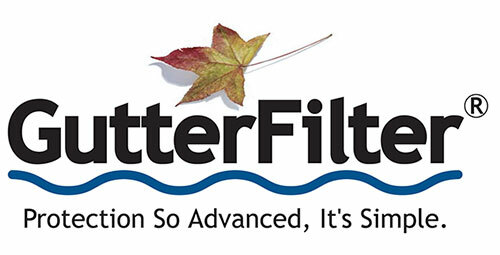 Jon Eakes.” GutterFilter® is sold and installed by certified dealers. Way More Cleaning Ltd is a certified dealer.